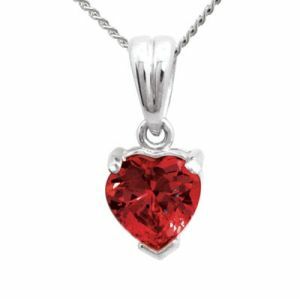 Solid 9ct white gold claw set heart shape created ruby heart drop pendant. 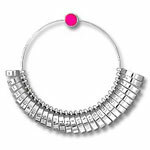 Perfect for a Valentine's Day or Ruby Wedding Anniversary or a July birthday gift or to say I Love You. Type: ruby white gold heart pendant. Dimensions: W: 7mm H: 15mm.